Mohan has over 4 years of experience in private credit, corporate & investment banking. 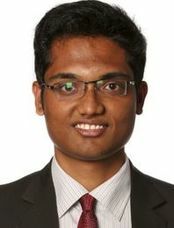 He has prior experience with Deutsche Bank in their Corporate & Investment Banking division, Mumbai. He holds an MBA from IIM Bangalore, a Bachelors in Engineering from Anna University, Chennai (Gold medalist) and has cleared CFA Level III.